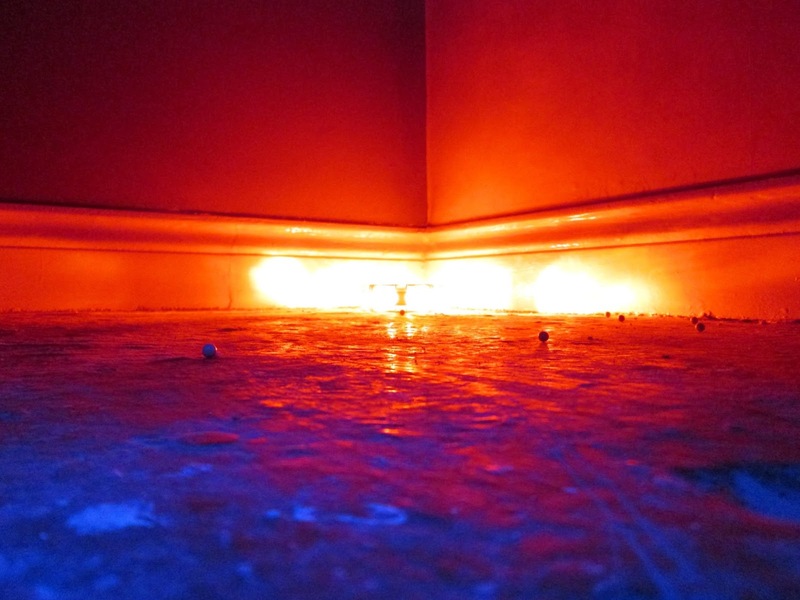 'Airsofters go to Prison' A site review of UCAP D-Wing by Laura AKA Crofty. Hey everyone! 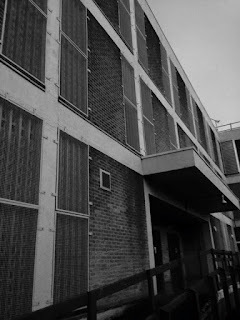 This is a really special post - a guest review of the new UCAP D-Wing site at the Old Shepton Mallet prison written by one of my fellow Slaydies, Laura! A Site review by Laura a.k.a Crofty. Well it's not as bad as it sounds! My team and I wanted to try out some other sites from our local which is situated in Warminster, Wiltshire so after a bit of research we came across an ad for a new site: Shepton Mallet Prison D-Wing! Shepton Mallet Prison opened in 1610 and housed notorious criminals such as the Kray Brothers in 1950. It was one of the oldest operating prisons in the country until its closure in 2013. So, what better location to open up as an Airsoft CQB site? 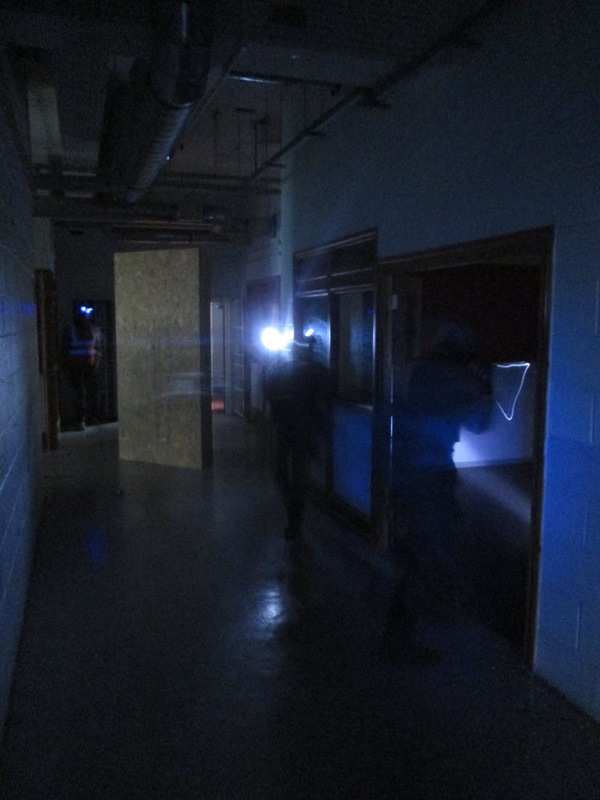 UCAP Airsoft decided to take residence in the D-Wing (the newer block set aside from the historic main body of the prison). The first game took place on the 10th January 2016 but we were unable to make this game as it books up very quickly and we found out why when we played at the site on the 24th January. We arrived on site at 8.30am and received a warm welcome from the UCAP marshals. The signing in process was quick and easy as the bookings were made online in advance, walk on price was £30. The Safe Zone was located in the old prison clothing and safety boot storage area, and not only was there plenty of room to store all your kit and prepare for the day, it was complete with an on site shop selling a good variety of items from batteries to RIFS. Perfect if you happened to forget anything on the day or just fancied adding something extra to your kit! After a quick chrono we were given our first game brief, which was light-hearted but still covered all necessary rules and regulations; one being no ignition based pyro was allowed so we didn't get chance to use our flash-bangs. 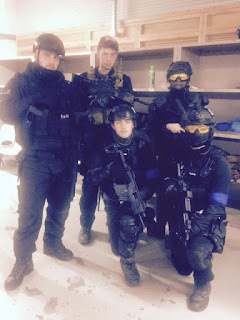 There were a total of 70 Airsofters and we were split into two teams. The first attacking team were to start at the top (the 5th floor!) of the building and gradually make their way down to take each floor one by one! The teams then switched over once the last floor had been taken. 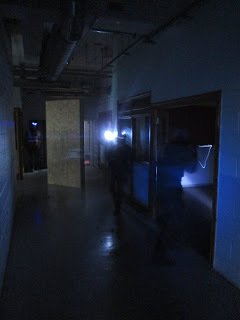 Some of the rooms were couple of rooms that were completely dark and others were completely lit or lit by strobe lighting - this made for some adrenaline-filled game play especially on the stairwells which sometimes felt nearly impossible to get down due to the amount of grenades being used! Bringing a torch is definitely a good idea! Between switching this game around, we were provided with a lunch of hot dogs, beans, cheese and tortilla chips, not forgetting the supply of tea and coffee that kept us going all day. 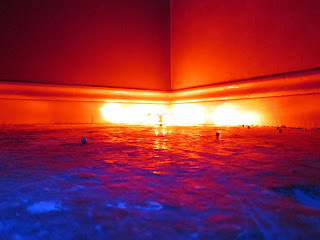 there were no BFG's involved, I believe it would have hopefully minimised the hold ups on the stairwells. Aside from this, my team and I had a great day thanks to everyone involved and we will certainly be returning. 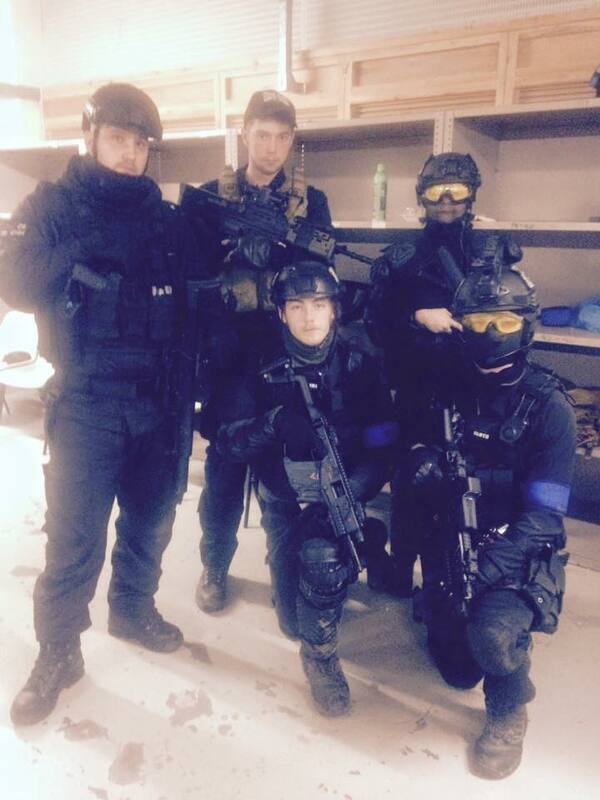 I would definitely recommend it to the CQB regulars and first timers so get in contact to book your place - FAST! Thanks for the insight Laura! I can't wait to visit the UCAP D-Wing myself!